NJPW and ROH sell out the world’s most famous arena! 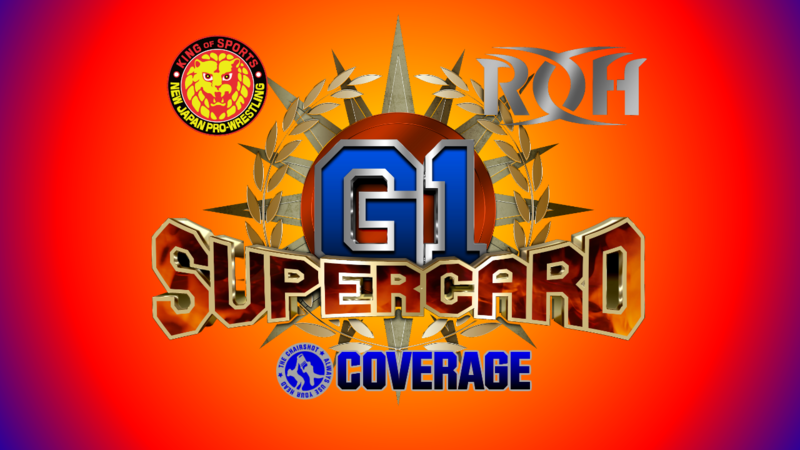 And AXS brings us TWO HOURS of the action as their coverage of the G1 Supercard begins! Revolution Pro-Wrestling Undisputed British Heavyweight Championship: Zack Sabre Jr. VS Hiroshi Tanahashi; ZSJ wins and retains the Rev-Pro Undisputed British Heavyweight Championship. IWGP Intercontinental Championship: Tetsuya Naito VS Kota Ibushi; Ibushi wins and becomes the new IWGP Intercontinental Champion. IWGP Heavyweight Championship: Jay White VS Kazuchika Okada; Okada wins and becomes the new IWGP Heavyweight Champion. 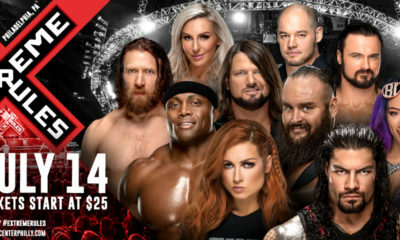 History is made as for the first time in almost 60 years, Madison Square Garden plays host two new promotions! 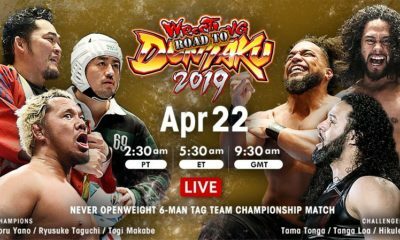 Ring of Honor joins New Japan Pro-Wrestling for this event! The Switchblade reigns after defeating The Ace, and will defend in the world’s most famous arena against a man he’s already defeated. The Rainmaker wants revenge from the defeats in the G1 Climax and Wrestle Kingdom 13, and he blazed a trail through the New Japan Cup for this opportunity! Will Kazuchika Okada take down Jay White to become a FIVE-time IWGP Heavyweight Champion? Or will he simply Breath with the Switchblade as the Cutthroat Era continues? Plus, the Uncontrollable Charisma fell short in the New Japan Cup, and his mission to be NJPW’s first dual champion has been delayed. And now, the Golden Star that eliminated him from the cup comes for his belt! Will Tetsuya Naito stay Tranquilo as well as retain the IWGP Intercontinental Championship? Or will Kota Ibushi soar to new heights by adding the title to his resume? But before even that, NJPW’s partnership with Rev-Pro continues to grow stronger as the Undisputed British Heavyweight title is on the line! The Submission Master failed to win this year’s New Japan Cup, because The Ace got revenge for last year! Hiroshi Tanahashi’s defeat of Zack Sabre Jr. earned him this shot, will he take a different heavyweight title for his own? Or will he #JustTapOut to ZSJ in MSG? Revolution Pro-Wrestling Undisputed British Heavyweight Championship: Zack Sabre Jr. VS Hiroshi Tanahashi! The Submission Master and the Once in a Century Talent have gone back and forth in the ring, and now it’s come to a title from outside NJPW! Will ZSJ make up for his New Japan Cup streak ending? Or will Tanahashi make up for missing out on the IWGP Heavyweight Championship? As always, Taka Michinoku gets a mic and welcomes us to #ZackSabreTime. And he asks the New York fans, in English, “What do you think about this match? I said, who’s gonna win this match! ?” But anytime, anywhere against anyone, all ZSJ’s opponents can do is #JustTapOut! The winner will be the Submission Master, Zack Sabrrre Junior~! ZSJ even pie-faces Tanahashi! Tanahashi keeps his cool, then takes off his jacket before we begin! Tanahashi and ZSJ circle and MSG rallies already. ZSJ reels Tanahashi in but Tanahashi gets up. ZSJ keeps on him with several floats and spins, then pushes to a cover. Tanahashi pushes out before a count and they reset. ZSJ and Tanahashi circle as fans sing. ZSJ wristlocks, rolls and wrenches Tanahashi, but Tanahashi spins through. Tanahshi wrenches but ZSJ rolls through and gets up with a big grin. Fans duel as ZSJ and Tanahashi circle and tie up again. ZSJ bridges and spins to another wrench, but Tanahashi rolls to reverse it. ZSJ rolls through, too but Tanahashi wrangles him back down. Tanahashi stands over ZSJ but ZSJ nips up, only for Tanahashi to wrangle him down again. ZSJ gets up and pops free to throw European Uppercuts. He pie faces Tanahashi again, but Tanahashi uppercuts back! Fans cheer for Tanahashi as ZSJ gives more EuroUppers. ZSJ has Tanahashi in a corner then whips corner to corner. Tanahashi elbows back then hops up to crossbody! He bounces off but air guitars for the fans. Tanahashi goes back to ZSJ for a scoop slam, then drops an elbow, only to get caught into an armbar! But he makes it a cover, TWO, and ZSJ has the armbar again. ZSJ pulls but Tanahashi rolls, so ZSJ makes it a mounted Fujiwara! Tanahashi still rolls to a ropebreak! ZSJ lets up but stomps the arm. The ref reprimands ZSJ but he toys with Tanahashi while fans rally up. Tanahashi sits up but ZSJ drags him up to go after the arm. ZSJ twists from wrist to elbow and in all directions, to bring it down for another hammerlock stomp! MSG boos while ZSJ trash talks and we go to break. NJPW on AXS returns and ZSJ still taunts the fans. ZSJ kicks Tanahashi while he’s down but Tanahashi takes them all. Tanahashi glares as ZSJ keeps toying with him. Tanahashi gets up and ZSJ pie faces him, but Tanahashi eggs ZSJ on. ZSJ throws EuroUppers but Tanahashi gives them back. Tanahashi throws forearms then runs in, but ZSJ sends him out. Tanahashi’s bad arm keeps him from skinning the cat, and ZSJ grabs him for an armbar! They’re in the ropes but ZSJ lets go at 4. ZSJ smirks as he wants the ref to ask Tanahashi how he feels. The ref does and Tanahashi says he’s not quitting. ZSJ goes after Tanahashi and wrenches the bad arm then pulls at the fingers. Tanahashi endures the arm torture then fires forearms. ZSJ wrenches again but gets another forearm. ZSJ keeps going but Tanahashi keeps hitting. Tanahashi gets free but ZSJ kicks the notoriously bad leg. ZSJ whips corner to corner but Tanahashi dropkicks out ZSJ’s legs! Fans cheer as both men are down and a standing count begins. ZSJ gets to a corner but Tanahashi runs in for a shotgun dropkick! Tanahashi drags ZSJ up for a scoop slam, then heads up again. Tanahashi hits the somersault senton! Cover, TWO! But Tanahashi keeps on ZSJ with the legs. ZSJ scrambles and denies the Cloverleaf with a ropebreak. 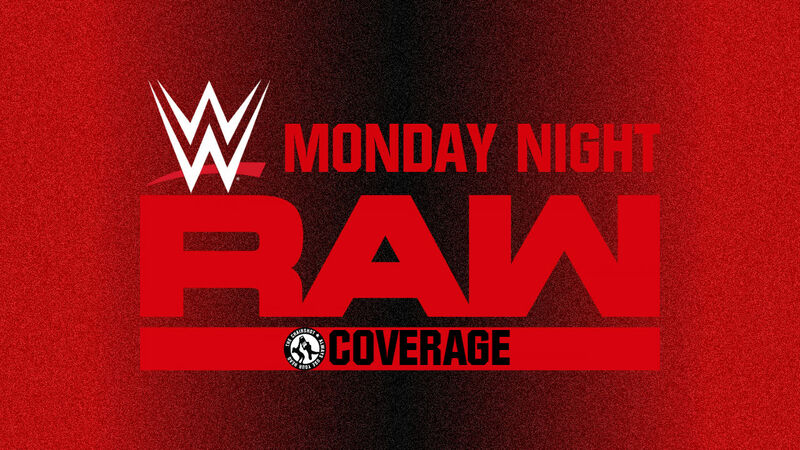 Fans rally and duel as Tanahashi runs, but ZSJ dodges the slingblade to the abdominal stretch! Tanahashi endures but pops out to his own! ZSJ endures the cobra twist now but pries his way out back to his! ZSJ grinds in an elbow but Tanahashi powers out. They go around and Tanahashi gets control again. 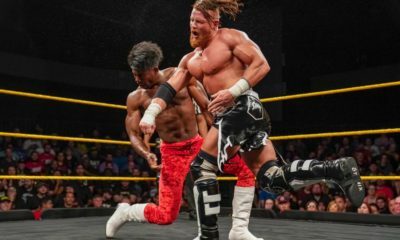 ZSJ endures Tanahashi’s twist but Tanahashi makes it a pump handle to a slam! ZSJ gets to the apron but Tanahashi runs in, only for ZSJ to catch him into a stretch on the ropes! 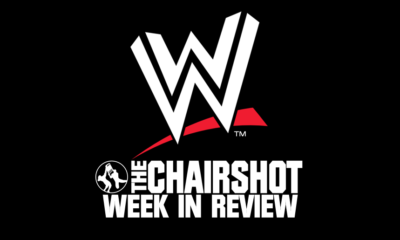 The ref counts and ZSJ lets go at 4. ZSJ goes in but Tanahashi has the leg for the dragon screw! ZSJ tumbles in but Tanahashi isn’t done with him. Tanahashi drags ZSJ into the Cloverleaf! ZSJ endures but rolls to drag Tanahashi into a triangle hold! Tanahashi fades as ZSJ wraps on tight, but Tanahashi finds his second wind. Tanahashi pushes through to get ZSJ back in the Cloverleaf! ZSJ endures again and scrambles to ropes, ropebreak! Tanahashi lets go but he keeps his cool. He drags ZSJ up to stomp those legs. ZSJ EuroUppers back but Tanahashi throws a palm strike! Sling-Dog! Tanahashi climbs and fans fire up! But ZSJ gets up quick, and kicks Tanahashi down! ZSJ hops up to Kimura wristlock on the top rope! ZSJ drags Tanahashi down and hotshots the arm. Then he drags Tanahashi in to wrench and PELE the arm! ZSJ fires up and kicks but Tanahashi catches it! To a dragon screw, but ZSJ sits down and rolls to the European Clutch! TWO, PENALTY KICK! Cover, TWO!! Fans fire up again as Tanahashi survives. Taka tells ZSJ to break Tanahashi and ZSJ fires up. ZSJ drags Tanahashi up and scoops, but Tanahshi slips out to roll! Japanese Clutch, TWO, into an armbar! But Tanahashi blocks to a grounded dragon screw! Tanahashi stalks ZSJ and brings him up. ZSJ pops out of the full nelson to his EuroClutch, TWO!! Tanahashi escapes but ZSJ hops on for a guillotine. But Tanahashi powers out to a Twist ‘n’ Shout! He holds on for a second Twist ‘n’ Shout! And then the third! Tanahashi fires up and MSG joins him. Tanahashi runs to Slingblade! Cover, TWO!! ZSJ narrowly escapes now, but Tanahashi has more to give. Tanahashi drags ZSJ up and brings him around to a full nelson. ZSJ denies the suplex and tilt-o-whirls into the Octopus Stretch! Tanahashi endures and starts to fade. Tanahashi drops and ZSJ shifts into a hammerlock. ZSJ wants the far arm but Tanahashi scrambles and fights it off. ZSJ still gets the arm!! Tanahashi endures A Long Way from Home, but ZSJ uses his legs to lock it in! And then grabs one of Tanahashi’s legs!! Tanahashi verbally quits, ZSJ wins! The Submission Master may be A Long Way from Home himself, but he’s still the champion! ZSJ retains his belt and breaks the series tie with Tanahashi, 3-2! “Strong Style is dead! Sabreism lives.” ZSJ wants more challengers, but there’s no one left. ZSJ won this title off Tomohiro Ishii in the Tokyo Dome, in front of the largest crowd for a British title in about 400 years or so. Ridiculous! But then he defends this title in Madison Square Garden. Him, a 31-year-old “Vegan Socialist”, is taking over the industry while barely breaking a sweat. Well now he wants the IWGP Heavyweight Championship! He’s had one shot so far but he almost broke Okada back then. Now he’ll finish whoever it is. Tanahashi is done, but what? Naito’s next? “Naito’s made of sponge.” And ZSJ almost did in Ibushi, too. Who else? Jay White? That “nob head” can’t even lace ZSJ’s boots. White’s the champion not because he’s the best, but because everyone else has failed. ZSJ won’t fail to take him down, like he hasn’t failed British wrestling. This isn’t the Rev-Pro title, it is the British title, and it represents a wrestling scene he’s had in his “soft, moisturized hands” for a decade now. “See what I do with NJPW.” Taka adds that this isn’t the Strong Style Era, it’s Zack’s Time. Will Zack’s time come sooner rather than later? IWGP Intercontinental Championship: Tetsuya Naito VS Kota Ibushi! The leader of Los Ingobernables de Japon wants to become the first dual Intercontinental and Heavyweight champion in NJPW history, but he hit a speed bump already. The Golden Star beat him in the opening round of the New Japan Cup and now challenges for his title! Will Naito stay Tranquilo and keep his Destino on track? Or will Ibushi further derail it by following in the footsteps of both The Ace and the King of Strong Style? The introductions are made, the belt is raised, and Naito takes his time removing his entrance gear as per usual. Ibushi patiently waits, so Naito takes a little longer with those pants just because he can. The ref asks he hurry so Naito takes them all the way off to then toss the pants at the ref. The ref puts the pants aside and we begin! Fans lose their minds immediately for these two fan favorites. Naito and Ibushi slowly circle and approach, but Naito quickly side steps Ibushi. Ibushi keeps his cool as he and Naito go again. Naito side steps again and wants Ibushi to take it easy. Ibushi and Naito finally tie up and Naito manages to push Ibushi to the ropes. Ibushi turns it around but lets up with shoulder pats. Naito kicks and elbows back! Naito whips but Ibushi reverses, but Naito sunset flips only for Ibushi to roll through. Ibushi goes to kick but Naito gets clear and arm-drags. Ibushi headscissors but Naito pops out to Tranquilo! Fans are thunderous already as Naito takes his time getting up. Ibushi waits, and the two circle again. Fans build to a rally as Naito kicks and elbows again. Naito puts Ibushi in the blue corner to throw more hands. Naito whips corner to corner but Ibushi goes up and over. Ibushi gets Naito with a huricanrana! Naito bails out and fans cheer as Ibushi runs to the corner. Naito sees it coming and gets in. Ibushi swings but Naito sweeps and trips Ibushi up! Naito runs to baseball slide Ibushi down! Naito takes his time following after, and fans rally up as Naito brings Ibushi up to whip into barriers! One of the event staff was partially in the way of that, so Naito reprimands the guy for being where he was. Naito then drags Ibushi up for a proper crash into railing! Fans want “One More Time!” but the ref wants them to return to the ring. Naito stomps Ibushi then drags Ibushi up for a whip to the other railing! Ibushi ends up in the lap of the front row! Naito returns to the ring and lets the 20 count begin. The count passes 5 as fans help Ibushi stand. Ibushi tumbles over at 8 and gets in at 11. Naito keeps on Ibushi with forearms and a toying kick. Ibushi grins as Naito stands him up. Naito throws in a back elbow then whips corner to corner. Naito hits the jump kick and sweep, to swinging dropkick, cabron! He adds a neckbreaker and covers, TWO! The champion is in control while we go to break. NJPW on AXS returns and Naito takes his time bringing Ibushi back up. Naito puts Ibushi in a cravat but fans rally up. Ibushi endures the neck crank, then stands up to fight out. Naito clubs him down then whips, but Ibushi reverses, only for Naito to reverse back. Fans duel as Naito runs, but Ibushi dropkicks him down! Both men are down but the dueling grows stronger. Ibushi stands up first but Naito slowly follows. Ibushi fires off a strike fest! Roundhouse rocks Naito, standing moonsault on top! Cover, TWO! Fans rally again and Ibushi brings Naito up. Ibushi waistlocks but Naito throws elbows. Naito pries out to an arm-drag! Ibushi runs in but gets bots. Naito baits Ibushi in for an alley-oop snake eyes! Naito adds a one-leg shotgun dropkick! Cover, TWO! Ibushi is dazed but he’s still in this! Naito gets Ibushi to a corner but Ibushi flounders around. Naito stomps away on Ibushi but Ibushi still stands. Fans duel as Naito whips corner to corner. Ibushi goes to boot but Naito spins him around for a draping backbreaker! Naito drags Ibushi up for another! Then a basement dropkick! Cover, TWO!! Ibushi survives the assault on his neck and spine but Naito stalks him to the corner. Naito hoists Ibushi up top then climbs up to join him. Ibushi holds on but both men stumble down. Naito keeps hitting Ibushi then puts him back up. Ibushi slips out to PELE Naito down! Naito is on the apron but Ibushi stands on the second rope. Ibushi drags Naito up and everyone knows what’s coming, DEADLIFT- No, Naito fights free! Ibushi goes limp, Naito drags Ibushi back out! But Ibushi slips out and they brawl on the apron. Ibushi drags Naito up again and prepares a wristlock. He throws Naito with a straitjacket suplex! Bridging cover, TWO! Ibushi still has the wrists, but Naito wheelbarrows to a victory roll! But Ibushi sits on it, TWO, to a wheelbarrow lift. Naito denies the driver with another victory roll, but pops out to a wheelbarrow driver! Cover, TWO!! Ibushi survives and Naito is actually shocked! Fans build to another rally as both men slowly sit up. Naito shakes the cobwebs out before throwing forearms into Ibushi. Ibushi comes back with elbows of his own, so Naito gives more. Ibushi still hits back, and Naito starts enjoying this. Naito throws forearms, Ibushi throws forearms, and repeat! They stand, but keep throwing heavy strikes. Ibushi gets an edge so Naito spits at him! Naito kicks and kicks but Ibushi just looks mad now! Ibushi CHOPS Naito right in the chest! Naito staggers about but only to get more palm strikes. Ibushi kicks but Naito ducks to hit a REVERSE-RANA! But Ibushi’s still on his feet! DESTINO!! Cover, TWO!?! No one can believe it but the fans are all loving it! Actually, even Naito seems to love this! Naito drags Ibushi back up, wrenches and tilt-o-whirl, but Ibushi blocks Destino! Naito slips out only for Ibushi to roundhouse him down! Both men drop but fans fire up again. Ibushi gets to a corner and shots out to the King, BOMAYE! But he’s not done, sliding Bomaye! Cover, TWO!?! Now Naito survives to shock everyone! Ibushi gets back up, drags Naito back up, and prepares the bomb. Naito fights back but still gets the Last Ride! Cover, TWO!! KAMIGOYE!! 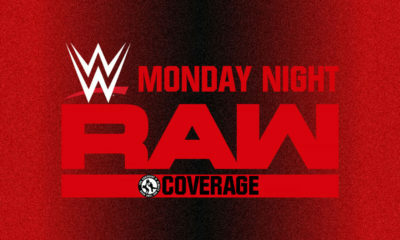 Cover, Ibushi wins!! The Golden Star has ascended to the level of his wrestling gods! Nakamura, Tanahashi and now Ibushi! Will the trend continue and lead Ibushi to one day be atop the mountain? Kota Ibushi is naturally very happy, and apologizes to those who don’t know Japanese. But that’s okay, there are subtitles now. Ibushi continues by saying he wanted this title so badly. He wanted to be IWGP Intercontinental Champion, and now he can’t believe he’s done it. It took a long time, but he got to compete against so many. Ibushi speaks to the two “gods of wrestling”, and he still sees those men that way. 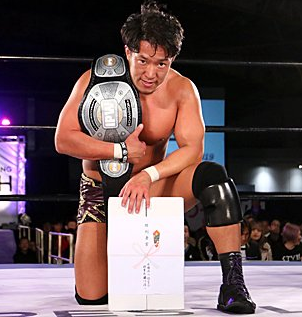 To win this belt here, with Tanahashi in the building, meant so much to him. Ibushi and Naito are the same age, so Ibushi thinks of Naito as a rival. Ibushi beat his rival, and has the title he’s wanted for so long, in the Madison Square Garden. Winning it here is even more meaningful. There is still much more Ibushi wants to say, but he will move on to the next challenge for now. Ibushi wishes to call someone out. There is one match he wants right away: the man who beat him at the G1 Climax, and who just tonight defeated “god” Tanahashi. Zack Sabre Jr, come challenge Ibushi! Ibushi thanks Naito and takes his leave. Will he and ZSJ battle for the Intercontinental Championship? Will it be title for title?! IWGP Heavyweight Championship: Jay White VS Kazuchika Okada! Here it is. Not only is this the main event of the broadcast, not only is this co-main-event to the entire G1 Supercard, but this is a battle for THE title in NJPW, with a months of animosity behind it! The Switchblade is willing to do whatever it takes to win, and he’s proved that time and again from the G1 Climax to when he took the title off Tanahashi. Meanwhile, the Rainmaker had a long and winding road of redemption that included several defeats at the hand of Jay White. But even after losing the title, the G1 Climax, and his friend in Gedo, Okada came back to win the 2019 New Japan Cup! Will Okada make it rain in Madison Square Garden? Or will Wrestle Kingdom repeat itself when he Breathes with the Switchblade? The introductions are made, and the newly minted, completely gold IWGP Heavyweight Championship belt is raised! The bell rings and we begin the NJPW main event of the night! Fans are already fired up for Okada but White just shakes his head. White bails out and the fans boo, but he and Gedo just smirk. White says he does this on his terms, and takes his time to return. Okada patiently waits but White bails out again. White grins and slides in to finally circle and tie up with Okada. They go around and Okada puts White on the ropes. Red Shoes asks for the break but Okada fakes his chop. Okada pats White’s shoulder then blocks the kick. Okada headlocks but White powers out, only for Okada to run him over. Fans cheer as Okada goes to run, but Gedo’s in his way! Gedo grins as White clubs Okada from behind. White headlocks and throws Okada down to grind him on the mat. Fans tell Gedo off but White keeps on Okada. Okada gets up and powers out but White grabs Okada’s hair! White brings Okada back down in the headlock takeover, but Okada endures. Okada fights his way up and throws body shots. Okada powers out of the hold but White grabs hair again. White gets the headlock takeover again, then pretends not to know why fans are upset. Okada works his way back up, and fights out again. Okada fights White off but White knees low. White headlocks again but Okada powers out to boot White down! Okada drags White up for a neckbreaker! Cover, ONE, but Okada keeps his cool. Okada drags White up again to snapmare him at the ropes. Okada runs but White bails out, and fans boo more. White catches his breath but Okada pursues! White kicks Okada and whips him at barriers, but Okada reverses to whip White in! Okada boots White into the front row! Okada drags White up and onto the railing, but Gedo distracts him! White pushes Okada into the post! Then snap suplexes him into barriers! White grins as he goes back into the ring. Fans boo as White allows the ring count to begin. Okada crawls at 2 but doesn’t stands until 8. He gets in at 9 but White stomps him out! White catapult guillotines Okada into the ropes! Cover, TWO! White grows annoyed but he brings Okada into a half camel clutch. He pulls back and Gedo cheers but the fans boo instead. Okada gets around but White keeps on a chinlock with a knee in the back. Okada gets up to elbow out then run, but into an elbow from White! Cover, TWO! White drags Okada up and CHOPS! He puts Okada in a corner for another CHOP! White back suplexes Okada down hard, covers, TWO! White keeps his cool as he toys with Okada. He drags Okada up but Okada fires forearms. White hits back but Okada kicks. White denies the DDT to hit a DDT! Then he goes to a corner, just to gloat! Fans boo but White goes back to figure four the legs together for his take on the Muta Lock! Okada endures as he drags himself towards ropes. White bridges and pulls but Okada gets the ropebreak! White lets go at 4, then takes his time adjusting his pads. He drags Okada back up but Okada throws forearms. White CHOPS Okada back then whips. Okada reverses but White denies the flapjack, only to run into it the second time! Both men go down and we go to break. NJPW on AXS returns as the fans rally for Okada. White is first to stand, but Okada kips right up! Okada rallies on White with elbows and a whip, but White reverses. Okada dodges to hit the back elbow! Fans fire up with Okada while White gets to a corner. Okada whips White corner to corner to hit another back elbow, then kicks for the DDT! Cover, TWO! Okada keeps going as he brings White up for a scoop slam. He heads for a corner and climbs up, but White gets under Okada. Okada rolls but runs into a boot. And then another boot, but Okada just gets mad. White boots again but Okada blocks to throw forearms. Okada hoists White up to dropkick him down! Fans cheer as White hits the ground. Okada goes out and follows White around the corner. Okada drags White up and whips him into railing again. He boots White again, and White slumps into the first row again. Okada goes for it again, but he sees Gedo coming this time and kicks him low! Okada tosses Gedo onto White, then gets a huge running start to FLY onto them both! Direct hit and he bowls them into chairs! Fans fire up with the action right in front of them! Okada drags White up from the seats and throws him back to ringside. Okada stalks White as he crawls and puts him in the ring. White crawls more but Okada stalks White for the Alabama lift. White fights for his life and uses ropes to escape. Okada runs back in but into a waistlock. White hits the snap saido suplex! Both men are down but stirring. Okada gets to a corner and White goes to the opposite end. White runs in for a big EuroUpper! Then a twisting brainbuster! Cover, TWO! Okada lives but White keeps his cool. White drags Okada up but Okada denies the Blade Runner. Okada runs in but misses in the corner. White runs in but his put up and onto the Alabama lift, to the reverse neckbreaker! But Okada is too exhausted to cover! Fans rally up again as Okada and White stir. Okada drags White up to gut wrench but White slips out. White waistlocks but Okada elbows out. Okada runs but White flounders to a corner. White grins, he’s too smart for Okada. But Okada stomps and elbows White in the corner. Okada gut wrenches again but White still escapes to a corner. White’s still smug, but he gets a shotgun dropkick for it! Okada puts White in a drop zone then climbs up top. Okada leaps for a big missile dropkick! Cover, TWO! White lives but Okada keeps his cool. Okada scoop slams White into the drop zone then climbs up again. Okada leaps for the Macho Elbow! But he’s not done there, and fans know it’s coming… The Rainmaker Pose! Okada drags White up and wristlock ripcords, but White just sits down. White smirks so Okada kicks him in the face. Okada drags him back up for forearms. Okada continues to pick White up and punch him back down. White is dazed as Okada drags him up again. White suddenly hits a complete shot! Then waistlocks to a deadlift German! Both men slowly stand, but White is first. White drags Okada up but Okada powers out of Blade Runner to ram White into buckles. White kicks back and snap suplexes Okada into buckles! Then the BIG urenage! Cover, TWO! Okada survives and White is exhausted. Gedo returns and coaches White back up. White drags Okada into position, fisherman but Okada fights out of the Kiwi Krusher. White waistlocks but Okada gets to the ropes. Okada elbows back but White saido suplexes him up and out of the ring! But White drags Okada back up and in to end this in the ring. Fisherman to Kiwi Krusher! Cover, TWO!? White can’t believe Okada survives! White drags Okada up but Okada elbows him away. Okada uppercuts but White throws strikes. But Okada scoops to a TOMBSTONE! Both men are down again but the fans are loving this. The fans rally up again and Okada gets to a corner. White stands but Okada boots him. 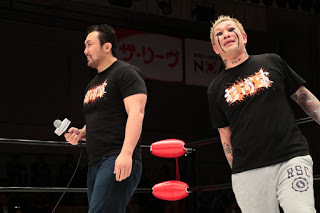 White CHOPS back, but Okada gives another boot. Another CHOP, but now Okada and White go head to head with forearms! Okada throws an uppercut in there and then another. Okada throws a third then whips White. White holds ropes to deny the dropkick, then CHOPS Okada down! White stands Okada up for another CHOP, and then more CHOPS against the ropes. Okada’s chest is bruised as White runs, but into a dropkick! Fans fire up as Okada reels White in, but Gedo distracts! Okada punches Gedo then whips White for another dropkick! Okada reels White in, but White denies the Rainmaker for a Sleeper Suplex! White slashes the throat and drags Okada up, but Okada spins out of Blade Runner to scoop. White slips out but so does Okada, Okada uppercuts but White CHOPS! Okada reverses the whip but White reverses back, but then Okada dodges and dropkicks White in the back! Okada whips but now White reverses to reel Okada in, Blade- SPINNING Rainmaker! MSG fires up and Okada swings White out for a true RAINMAKER! Cover, TWO!? WHAT!? No one can believe White survives THE namesake clothesline. But fans are thunderous for Okada as he drags White up again. Okada scoops White but White slips out to BLADE RUNNER!! But White’s too tired to cover! Gedo is tense while fans rally up again. Okada and White slowly crawl towards each other and they sit up. White has wild eyes as he forearms Okada point blank. The two sway but Okada returns the favor. White shakes his head to give the forearm back. Okada teeters but he grits his teeth as he gives it back again. White flops over then flounders to his feet, but he still hits Okada. Okada leans but comes back with the forearm. White weakly throws hands. Okada rocks White back, then pushes White around. Okada gives another hard right but Gedo hops in! White low blows!! Gedo did his job so he backs off. Fans tell Gedo off again but White is all smiles as he drags Okada up again. BLADE- GERMAN SUPLEX! Okada holds onto the waistlock and he drags White up again. Ripcord, but White spins around to a backslide! Okada rolls off but White reels him in, BLADE- No, Okada backslides only to reel White in, but White dodges the Rainmaker, only to get a dropkick! Fans fire up as Okada hits the pose again! Okada wristlocks but White elbows back. White boots Okada time and again but Okada still reels him in for a lariat! Okada isn’t done there, he drags White up again, for another lariat! But that’s not good enough, so the wristlock to ripcord, RAIN- BLADE- JUMPING TOMBSTONE! Then, THE RAINMAKER!! Cover, Okada wins!! #TheDriveforFive is successful! Okada is once again on top of the mountain, and the Cutthroat Era ends already! His fourth reign was almost two whole years, will his fifth be even greater than that?! Okada gives his thoughts towards this entire G1 Supercard event. “Jay White was really tough. As expected from an IWGP Heavyweight Champion.” White was strong, and will still grow stronger after this loss. Okada and White will surely have many more matches in the future. But Okada will keep beating him “convincingly”. 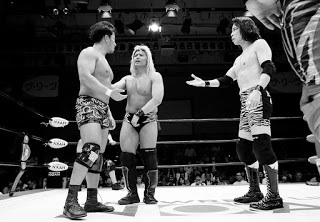 But Okada is thankful to have strong opponents. As for Madison Square Garden itself, the view upon entering was truly incredible. Different from the Tokyo Dome. Only a select view get to see that view. “It’s a magnificent arena with a phenomenal crowd.” This will be a wonderful memory for Okada. It isn’t good-bye, because Okada plans to come back again. He forgets what else he wanted to say, though. The size of the crowd proves the power of NJPW and Japanese wrestling in general. Okada will return home with pride. He also knows the many major wrestling events going on at this same time, and welcomes those other companies to try their best to outdo NJPW. With Okada back on top, will NJPW grow even stronger than ever before? An amazing two hours for NJPW on AXS, and this is only half of what we’re getting! The Undisputed British Heavyweight Championship was a nice surprise to put on this half, as Tanahashi and ZSJ can do no wrong against each other. Naturally, the British wrestler retains the British title, and ZSJ’s interview promo at the end was superb. No curses, just good ol’ Britishisms and trash talk. The Intercontinental Championship was another great match, with so much story between Ibushi and Naito. I was really surprised but also pleased to see Ibushi won. As his own personal story goes, he obviously wants to follow in the footsteps of Tanahashi and Shinsuke Nakamura. Him calling out ZSJ was also a great surprise, and whether it’s for one belt or both, Ibushi VS ZSJ is going to be another can-do-no-wrong match. And obviously, the main event, the grudge match, White VS Okada, that was incredible. The pace was methodical, and just kept from dragging on, but even that dragging paid off with that exchange at the end. It is great to see Okada be the conquering hero and get that belt back, as some fans were starting to doubt the legitimacy of White as top guy. There will surely be rematches between these two, as Okada says himself. Okada’s fifth reign has a lot to live up to after that historic fourth, so hopefully there’s something to help ramp it up fast.